The Hamas Movement has said that its armed wing, al-Qassam Brigades, is making efforts to extract the freedom of all Palestinian prisoners in Israeli jails through clinching several swap deals with the Israeli side. 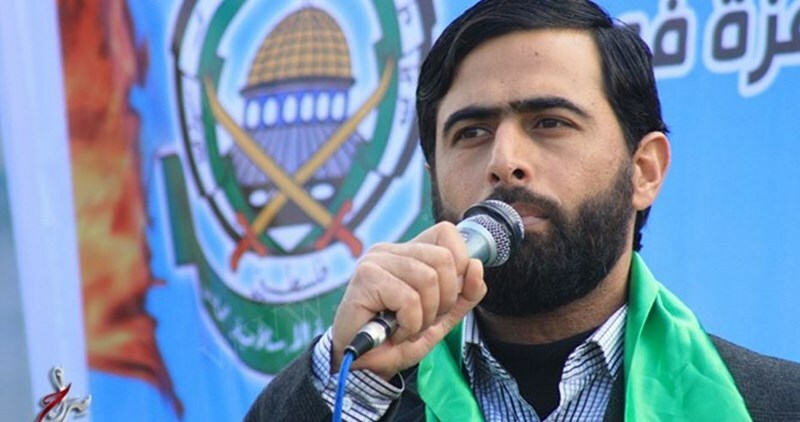 "Al-Qassam Brigades is preparing for second, third and fourth 'Wafa al-Ahrar' deals so as to clear all the jails of the Israeli occupation from all Palestinian prisoners," Hamas official and lawmaker Mushir al-Masri said. Masri made his remarks during a sit-in organized on Saturday by the Islamic Women Movement near Beit Hanoun (Erez) border crossing, north of Gaza, to mark the 40th anniversary of Palestine's Land Day. The Hamas official also reiterated his Movement's vow to continue along the path of resistance regardless of the cost until the liberation of the Palestinian land. In October 2011, al-Qassam Brigades of Hamas was able to free more than 1,000 Palestinian prisoners from Israeli jails in exchange for Israeli soldier Gilad Shalit. 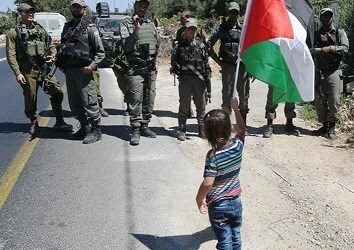 Dozens of Palestinians were injured after Israeli Occupation Forces (IOF) suppressed on Friday West Bank weekly marches. The PIC reporter said that Israeli forces violently attacked the anti-occupation march of Nabi Saleh that came in commemoration of the 40th anniversary of the Land Day. Israeli forces also attacked Jordanian journalists and prevented them from covering the events. Dozens of local residents and foreign activists had participated in the march. 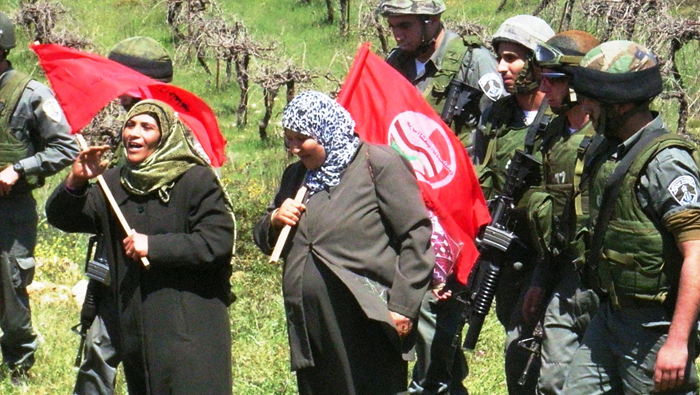 Meanwhile, teargas suffocation cases were reported as Israeli forces suppressed Bil’in weekly march west of Ramallah. Participants waved during the march Palestinian flags and chanted slogans in support of national unity and Palestinian constants. Banners calling for prisoners’ release and activating resistance option were also raised. Teargas bombs and rubber bullets were fired at the participants once they reached the separation wall, injuring dozens of them. Several nearby olive and almond trees were burned due to the heavy firing of teargas bombs. In Qalqilia, several locals suffered effects of teargas inhalation when Israeli forces suppressed Kafer Qaddum anti-settlement march. Israeli forces deployed since the morning hours in the area and closed the main road in village before attacking the participants with teargas bombs. 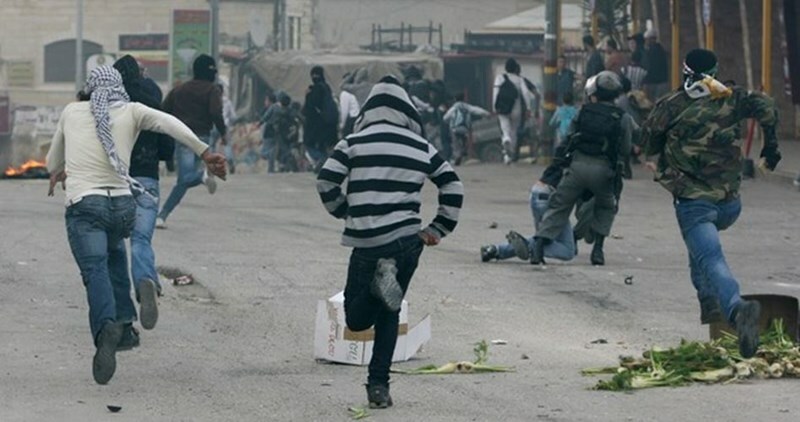 In Qabatia, clashes broke out after Israeli forces stormed the town Friday evening amid heavy firing of teargas bombs. Several injuries were reported. Local sources told the PIC reporter that Israeli forces stormed the town and filmed a home belonging to Ahmed Abu Rab who was earlier killed by Israeli gunfire. The house was threatened with demolition as part of Israeli collective punishment policy against Palestinians suspected of carrying out anti-occupation attacks. In occupied Jerusalem, a protest vigil was organized Friday afternoon in Silwan town in protest against Israeli decision to demolish 50 local homes starting from April. The protesters declared their total rejection of Israel’s racist practices and displacement policy against Jerusalemites. In Jenin, Israeli forces stormed Yabad town south of the city and erected a military checkpoint at its main entrance. Several vehicles were stopped and searched at the checkpoint, while a local home was stormed during the raid. Why do Palestinians commemorate Land Day? Palestinians commemorated the 40th anniversary of the Land Day on Wednesday, March 30 with various events. To understand the importance of that Day and why it is observed each year we should go back a little bit in history. In 1976, the Israeli authorities confiscated large areas of Palestinian lands in the Galilee triggering large-scale protests that ended with killing 6 Palestinians and the injury of more than 100 others. Palestinians all over the world commemorate the Day in marches and rallies to reflect their resilience in facing the Israeli occupation. The events actually date back to the establishment of Israel in 1948, also known as the Palestinian Nakba (catastrophe), when around 150,000 Palestinians remained in their homes in historical Palestine. Israel granted them the Israeli nationality, but it kept confiscating their lands and restricting their rights to encourage their migration out of their homeland. In 1976, the Israeli authorities confiscated vast areas of the lands of these Palestinians in regions with Palestinian majority in the Galilee, a region in northern Palestine. Israel reacted to the nonviolent protests of Palestinians by gunfire and brutal force. 6 Palestinians were slaughtered, more than a hundred injured, and many more arrested. He stated that hard work is required so that Palestinians would devote more time and effort toward their lands through events on the ground and on social media to put pressure on Israel to stop the Judaization attempts of the Palestinian lands. Al-Shami stressed the importance of delivering the Palestinian message to the world in all possible ways to win international support for regaining the Palestinian lands and rights. Islamic Resistance Movement, Hamas, said that Jerusalem Intifada which broke out five months ago is a continuation of the Land Day uprising which was commemorated for the 40th year on Wednesday, March 30, 2016. In a press statement, the department of refugees’ affairs at Hamas Movement asked the international community to prosecute the Israeli occupation over its crimes against the Palestinian people. It also called on the Palestinian factions to get united in terms of the Palestinians’ rights and constants. In another statement, Hamas stressed that resisting Israeli occupation will be the strategic option for Palestinians in order to get liberated. The statement also renewed Hamas's confirmation that it will not waive any inch of the Palestinian land, and said the Palestinian people will remain adhering to all of their rights. Palestinians mark the event of Land Day on March 30 of each year because Israeli authorities confiscated 21,000 dunums of Palestinian lands in the Galilee for establishing more settlements within the Israeli plan of Judaizing the Galilee on March 30, 1976. The Israeli Occupation Forces (IOF) suppressed on Wednesday evening a peaceful march in Doheisheh refugee camp, south of Bethlehem, in commemoration of the Land Day. The PIC reporter said that the march started from Doheisheh camp heading towards the northern entrance of Bethlehem. 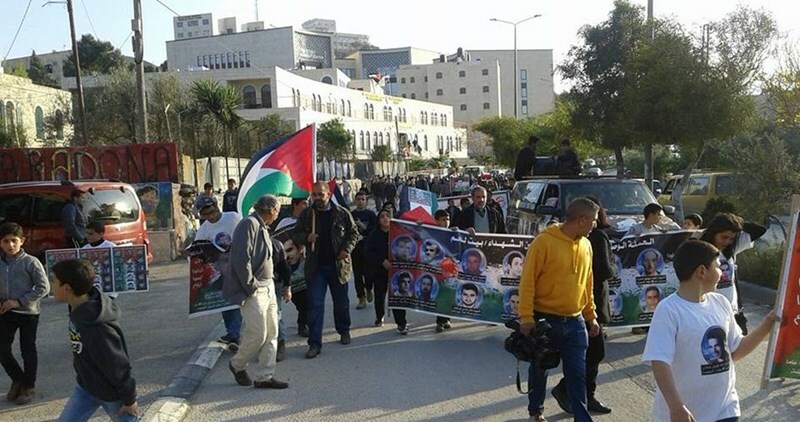 The participants waved Palestinian flags and raised photos of Palestinian martyrs whose bodies are still detained by Israeli authorities, some of whom, for dozens of years. Israeli forces attacked the peaceful march with teargas bombs. Dozens of participants choked on tear gas. 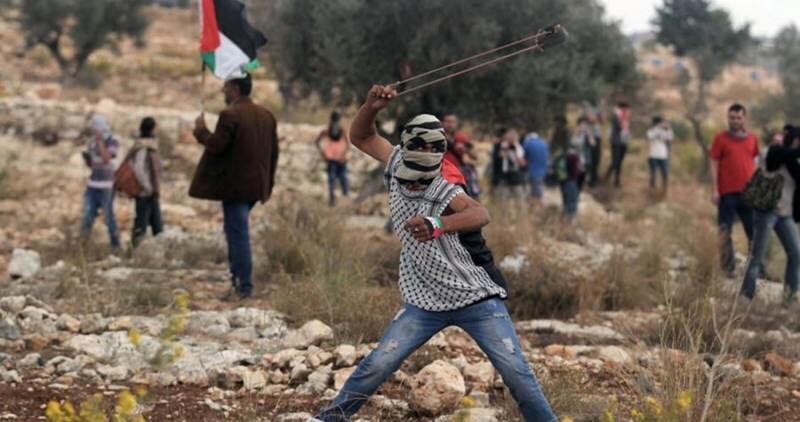 Palestinian youths responded by throwing stones at the soldiers. Meanwhile, dozens of Palestinian refugees marked on Wednesday the Land Day in Yarmouk refugee camp in Syria despite the tight siege imposed on the camp. The commemoration event came in coincidence with the arrival of a Swedish aid convoy to the besieged camp. Hundreds of food parcels were distributed in Yarmouk camp. Coordinator for the aid convoy Khaled Youssef revealed that a second convoy will be organized before the holy month of Ramadan.